In light of the holidays and the magical spirit of Christmas, the grade 6, 7 and 8 students had the chance to enjoy the performance of a tale entitled « MiroirmiroiR » (Mirror mirror) on the Pully campus on December 16th . The story was acted, sung, played and told by two women from the company ContaCordes. The two performers told the tale of a boy who goes unnoticed by everyone, and a girl who refuses her admirers. During the journey that leads them to one another, mirrors reflected, deceived, hid and revealed the truth of desire, encounters, and love. 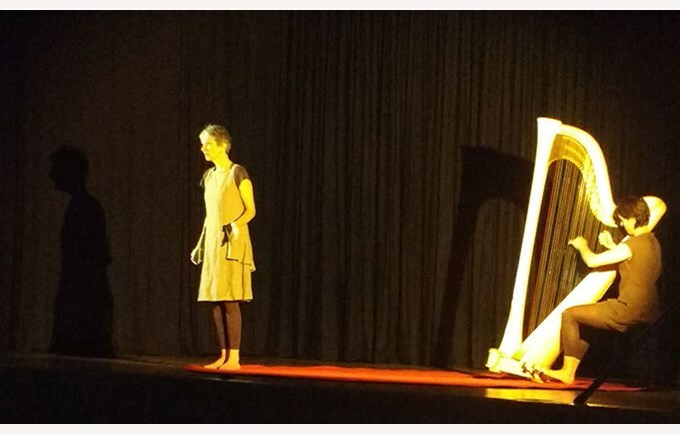 A harp was well integrated into the performance as well. Overall, the students enjoyed this animated and magical story very much!